Iridium Communications Inc. announced in June 2010 its comprehensive plan for funding, building and deploying its next-generation satellite constellation, Iridium NEXT to replace the original Iridium constellation. Specifically, the Company announced the execution of a fixed price contract with Thales Alenia Space for the design and construction of satellites for the Iridium NEXT constellation. Iridium's fixed price contract with Thales Alenia Space provides for the construction of the originally planned 72 operational satellites and in-orbit spares, plus an additional nine ground spares, which provide greater risk mitigation with respect to the new constellation. As a result of the expanded scope of the project, the total cost of Iridium NEXT, including all costs associated with development, manufacture and launch of the constellation, is now anticipated to be approximately $2.9 billion. 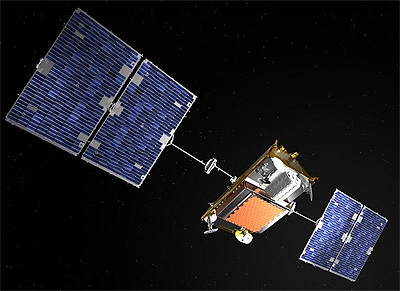 In addition, Iridium has entered into an Authorization to Proceed (ATP), which allows Thales Alenia Space to commence work immediately on the development of satellites prior to completion of the financing, with the plan to commence the launch of the first satellites during the first quarter of 2015. Each spacecraft employs an L-band phased array antenna for generation of the 48-beam, 4,700 km diameter cellular pattern on the Earth’s surface for communication with subscribers/users. Ka-band links are also provided for communications with ground-based gateways and for crosslinks with adjacent spacecraft in orbit. The cross-linked 66 satellite constellation forms a global network in space allowing communications from a ground or airborne user from any location on Earth to virtually anywhere else on Earth. Orbital Sciences Corporation performs assembly, integration and test of the 81 satellites including primary and hosted payloads, shipment and launch integration services at their Gilbert, Arizona, facility. Iridium has contracted with SpaceX to launch the constellation on Falcon-9 v1.2 boosters. Ten satellites are on each launch and seven missions are planned. Later an eighth shared launch of five satellites was ordered. Six satellites will remain on the ground as spares. Kosmotras has received a contract to provide supplemental launch services on Dnepr launch vehicles. Dnepr can carry two satellites on each launch. One Dnepr launch, carrying the first two satellites, was planned, but it was delayed and finally cancelled due to bureaucratic hurdles. Note: Iridium-NEXT 127 was renamed Iridium-NEXT 100 before launch due to a ground software issue, which prevented the use of the number 127. Each Iridium-NEXT satellites can provide an opportunity to fly an 50 kg secondary sensor payload. 50 W average power is available for the payload. Data delivery and access to hosted payload is performed through the Iridium infrastructure or private gateways. Aireon LLC, a joint venture with between Iridium and Canada’s air traffic agency NAV CANADA with support from the US Federal Aviation Administration (FAA) and suppliers Harris Corporation and ITT Exelis, uses space-qualified Automatic Dependent Surveillance-Broadcast (ADS-B) receivers built into each of the 81 satellites in Iridium NEXT to provide fully global and continuous space-based monitoring and control of aircraft, even over oceans and remote regions where it is not currently possible. The payloads are based on Harris Corporations's AppStar reconfigurable platform. 58 satellites carry an AIS (Automatic Identification System) payload for exactEarth to track maritime traffic. These exactView-RT payloads allow for real-time ship tracking data with revisit times of 1 minute. The payloads are based on Harris Corporations's AppStar reconfigurable platform. Note: The assignment of individual satellites to the corresponding launches may change.